This is a wonderful beverage to have in the evening and the benefits are extraordinary. 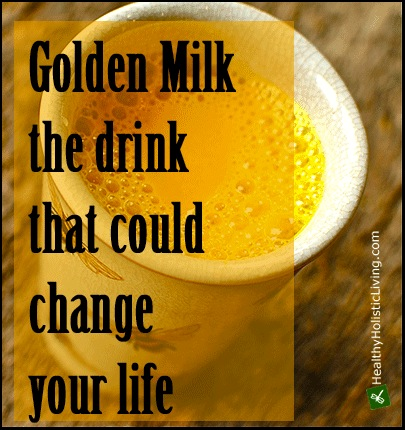 It’s called Golden Milk, the drink that could change your life! Hello, I’m Doreen Correia and welcome to another episode of Wellness Wednesday. I’m so grateful for you to spend time with me in my kitchen. The main ingredient in this recipe is turmeric. Who needs medication when nature gave us turmeric. Take a look at the incredible health benefits of this plant. Turmeric contains curcumin, the polyphenol identified as its primary active component and which exhibits over 150 potentially therapeutic activities, which include antioxidant, anti-inflammatory and anti-cancer properties. •	Anti-inflammatory, anti-oxidant, antiseptic, analgesic. •	Helps maintain cholesterol levels. •	Regulates metabolism and weight management. •	Memory and brain function. Adding black pepper to turmeric or turmeric-spiced food enhances curcumin’s bioavailability by 1,000 times, due to black pepper’s hot property called piperine. Yep, by mixing turmeric and black pepper together, you increase your body’s absorption of the turmeric by 2000%! Mix all ingredients in a small saucepan and mix well. Turn the heat to medium high and stir constantly until the mixture is a thick paste (7-9 minutes). This does not take long so don’t walk away from the pan. Let this mixture cool and then keep it in a small jar in the fridge. Can keep in the fridge for 14-21 days. Directions: Combine all the ingredients, except honey in a saucepan. Turn the heat to medium. While heating make sure to stir constantly and do not allow the mixture to boil. Add honey to taste. Stir the drink as you go so that you don’t get a big gulp of spice powder at the end! I love Wellness Wednesdays.. Thanks Doreen! I am going to give this a try! Thank you Frank! You’ll love it!